Now you can order directly from Island Planet online! We're delighted to be able to offer you some of your favorite items which you've been asking to order online. 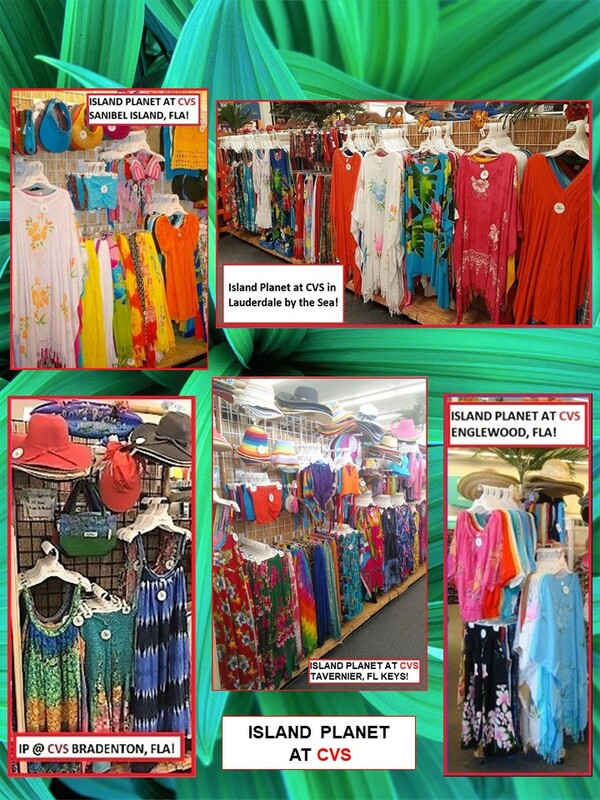 If you live in or have visited Florida, you may have seen our Island Planet displays in CVS and Walgreens. We've placed photos of a few of the CVS locations here that you may recognize! We'll be adding new items often and if you're looking for something in particular, please email us at shop@islandplanet.com. Now for some shopping! Let the fun begin! Thanks for Shopping Island Planet!